In the past 10 years, I have had countless of clients comment about their increased sexual drive after an energy session. Needless to say, I’m thrilled to get this kind of feedback, but I’m not surprised. During a Reiki, Reconnective Healing or Chakra Balancing session I spend considerable amount of time in the Sacral Chakra of the body clearing and balancing in order to create alignment with the rest of the energy centres. The Sacral Chakra governs the area of sexuality, creativity, money, career and relationships with ourselves and other people. The orange colour of this 2nd chakra is located in our lower abdomen, between the waist and the pubic bone, approximately two inches below the navel. In the back of the body it is located in the lower back; small of the back. When the Sacral energy centre is balanced and aligned the results can produce dynamic sexual fire in the physical, emotional and spiritual body. The following is a very simple but powerful bonding technique you and your partner can thoroughly enjoy together. It will leave you both electrified!! 1. Begin by laying down facing one another. 2. Either using your fingertips or open palm, gently, lovingly caress your partners Sacral area; lower back. You can both do this at the same time – double your pleasure. 3. Experiment with different movements; clock/counter wise, pulsing, up and down, tapping. You should feel heat coming through the small of the back. 4. Keep your awareness on your partner’s Sacral, “listen” to their body. 5. Lots of kissing. Kissing increases intimacy and besides it’s lots of fun. Sharing sexual energy with another person is a sacred experience. It brings together body, mind and spirit. This is not the time to be thinking about work, house chores, the kids etc. In this increased energetic state, frequencies are very potent and our thoughts produce their own vibration. As always, remain in the loving moment you and your partner are creating, because when we are in the present moment nothing else matters. 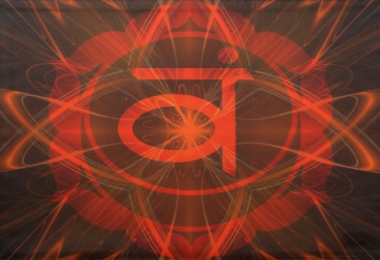 Click to learn more about your Chakra energy centres.